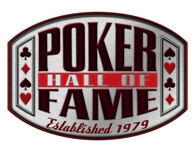 The fan-based voting portion for the Poker Hall of Fame Class of 2012 is now over, finishing with thousands of poker fans casting their ballots for the people they feel belong in the very exclusive club that is the Poker Hall of Fame. Now the process moves on to stage two, with the living Poker Hall of Fame members along with a panel of poker media experts getting to vote on the final 10 nominees. This year’s 10 finalists are unlike any other final 10 nominees in recent memory, with a number of first-timers, as well as a number of people many thought were close to being inducted left off the short-list. Perhaps the most interesting nominee is Brian “Sailor” Roberts, who was chosen as a write-in candidate by a current Hall of Famer (*ahem* Doyle Brunson *ahem*) according to the WSOP.com website. Another interesting finalist is Thor Hansen. Hansen is one of the most likable people in the game, and one of the first Europeans to really take to high-stakes poker, but really doesn’t possess a HOF resume. Working in his favor is likely the fact that he is now unfortunately battling cancer. In my opinion there are some egregious oversights, with elder statesmen like Barry Shulman, Terry Rogers, Mike Caro, Jack McClelland (a 2011 finalist), and Marcel Luske (a 2011 finalist) left off the list. And if age is not a deciding factor in the decision, the absence of Carlos Mortensen and Ted Forrest are mind-boggling. In addition to Luske and McClelland, also Left off of the 2012 nominee list were 2011 finalists Annie Duke and Huck Seed. So who would I vote for from the 10 finalists? Most of my votes would go to Jennifer Harman (and I think she is a shoe-in this year) with all of the other players named deserving votes, but if I had to choose I’d go with Eric Drache and Sailor Roberts. My guess for this year’s two inductees is Sailor Roberts and Jennifer Harman. •	Or, for non-players, contributed to the overall growth and success of the game of poker, with indelible positive and lasting results.